Now I don't use a lot of eye shadow but since I've got pretty oily eyelids, I'm bound to use an eye primer. 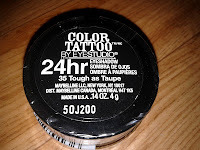 I've heard a lot of beauty guru's rave about the Maybelline color tattoos and I really really really wanted to try them out. So I went and bought myself one...yay!! I've heard they're comparable to the MAC paint pots and they're supposedly to be MACs' dupe. I do own a MAC paint pot, and I have to admit...they are quite similar except for the color range of course. 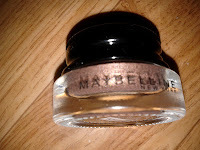 They're both creamy and easy to blend, but the biggest difference in the MAC and Maybelline pots is definitely the price. Although MAC is quite accessible, unfortunately the Maybelline color tattoo haven't been released in Belgium yet, so we'll just have to be patient. It's a gorgeous taupe color (surprise surprise) and I think it'll flatter many skin tones. So I'd say, if you can get your hands on these babies, go get them because they're fab! 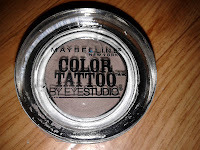 I recently found a similar product which is called Maybelline Lasting Shine Gel Eyeshadow. They're basically the same: they prime and are quite pigmented. It looks natural on me with a little bit of a shimmer. Just the way I like my eye shadows! 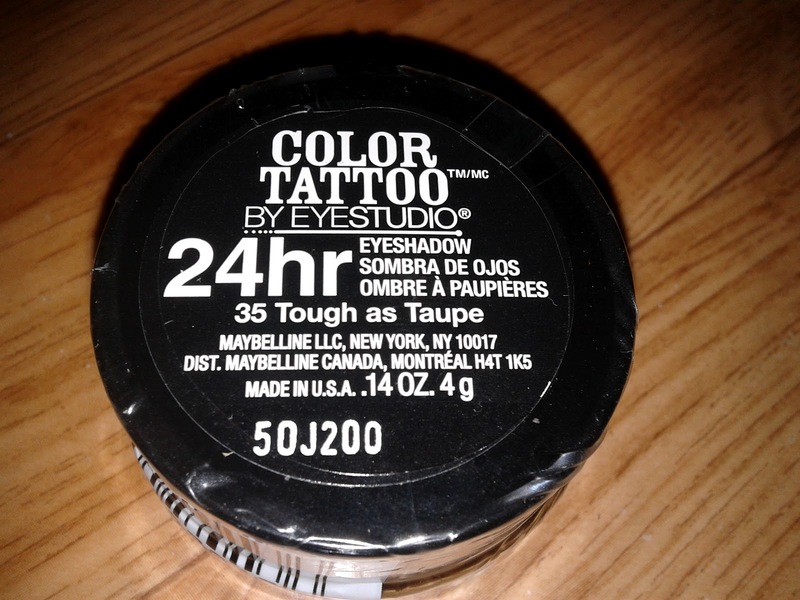 If I get to repurchase one of the products mentioned above, I'll definitely buy Maybelline color tattoo Tough as Taupe. It looks gorgeous and they're affordable, what can a beauty blogger ask for more? They all come in a good variety of colors, they're creamy, easy to blend and they would make a good primer. The Mac paint pot contains 5g and you can it in a lot of shades. The Maybelline color tattoo contains 4g and is available in a wide range of 10 shades. I think the Maybelline lasting shine gel shadow contains about 2.5g. I can't remember how much it contains exactly because I threw the box away, but the packaging reminds of the Maybelline Eyestudio Lasting Drama Gel Liner. And this gel shadow comes in 6 colors. Great review, the tough as taupe shade looks beautiful!